Sport Scotland’s annual Coaching, Officiating and Volunteering (COV) awards took place last night, celebrating the hard work of individuals in sport throughout the nation. Scottish wheelchair basketball had a hugely successful night. Gemma Lumsdaine winning ‘Young Coach of the Year’ for her work with Dundee Dragons and the Scotland U19’s. She was along side Jenifer Scally of the Glasgow Rocks being awarded ‘Performance Development Coach of the Year’. 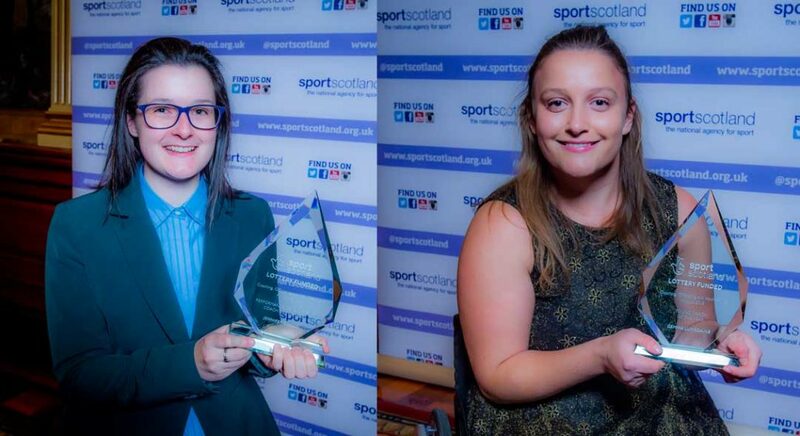 Both women are working hard to develop the sport of wheelchair basketball in Scotland and are hugely deserving of this recognition. The awards were a fantastic night celebrating not only our winners but the incredible dedication of those across sport in Scotland.